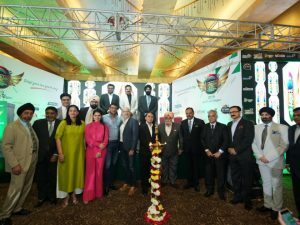 After successful shows in seven cities across the country, the concluding Global Panorama Showcase (GPS) of 2018 opened at JW Marriot Hotel Pune with over 600 attendees. 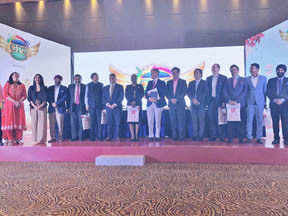 The first day of the event was inaugrated by GB Srithar, Regional Director – South Asia & Middle East, Singapore Tourism Board; Sunil VA, Regional Vice President – ISC, Oman Air; Sanjay Rao, Aviation Consultant; Vishal Bhatia, Country Manager – India, VisitBritain and Dev Karvat, Founder – TrawellTag & CEO, Emerging Markets, Covermore Group. 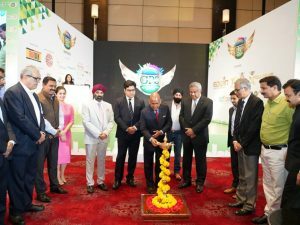 Over 900 registered buyers and above 500 attendees attended the inaugural show of Global Panorama Showcase in Hyderabad at Hyderabad Marriott Hotel & Convention Centre. Inaugurated by Azmeera Chandulal, Tourism and Tribal Welfare Minister of Telangana; B Venkatesham, IAS Secretary to Government of Telangana, Youth Advancement, Tourism & Culture Department and other dignitaries, the event presented an insight into ways to boost in tourism in the state and discussed future prospects for growth in the tourism sector. The first day saw a product presentation, educational seminar and GST session. Students from various universities and institutes were also invited to understand the travel and hospitality sector. B2B table top meetings are scheduled for the remaining day. 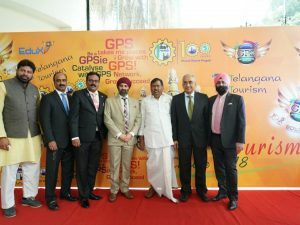 Telangana Tourism is Partner State for the event. Apart from Telangana Tourism, Andhra Pradesh Tourism and West Bengal Tourism will also be showcasing themselves at the event. 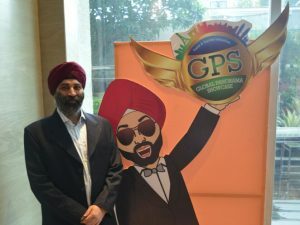 The next GPS will be held in Chandigarh from July 5-7. 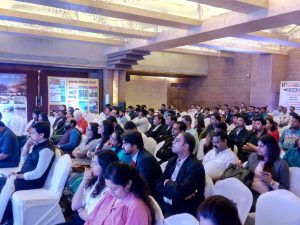 The sixth edition of Global Panorama Showcase (GPS) in Nagpur took off on January 15 at Centre Point Hotel. Around 956 registered attendees marked their presence at the event. 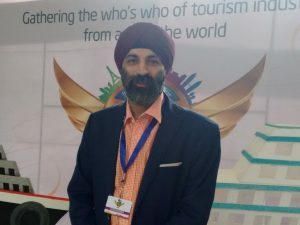 The first day saw presentations on products like Eurail by Amigo Travels, cyber security session by Prevoyance Cyberforensic, Genting Cruise Lines, FXkart, Travcare, Singapore Airlines, Sahibji Group, Mazda Travels, Red Tours, etc. A knowledge session was also held on Goods & Services Tax (GST) for the travel industry. GPS Nagpur will host 120 exhibitors for B2B meetings over the next two days. After the success of Global Panorama Showcase (GPS)’s Educational Destination Workshop-International (EDWIN) in Ladakh, it is now set to go to Bali, Indonesia in November. 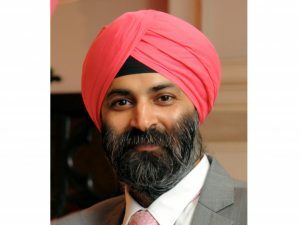 Harmandeeep Singh Anand, Managing Director, GPS, has revealed that the registrations for EDWIN – Bali have started, and interested delegates can choose to fly from Delhi on November 29, 2017 and from Mumbai, Ahmedabad, Kolkata, Coimbatore and Kochi on November 28, 2017. The 5 nights/6 days package starts at Rs. 32,000 all inclusive. The workshop would allow agents and tour operators from various cities to experience the destination.